My clients in the beautiful West University Neighborhood of Houston were looking for just that. Their master bedroom was a mishmash of old furniture, basic bedding, and stacks of books and computers. 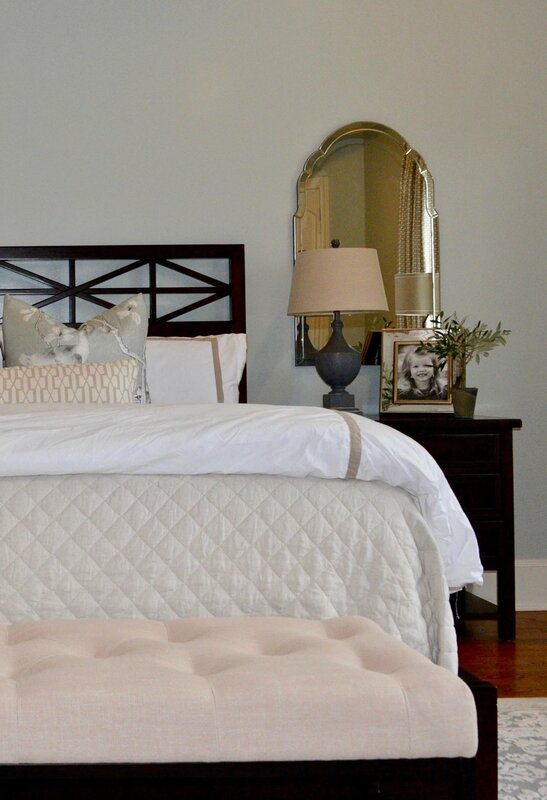 They are both busy professionals and parents, so they longed for a restful and beautiful bedroom that was simply theirs. As you can see, the bedroom really lacked any kind of design style. 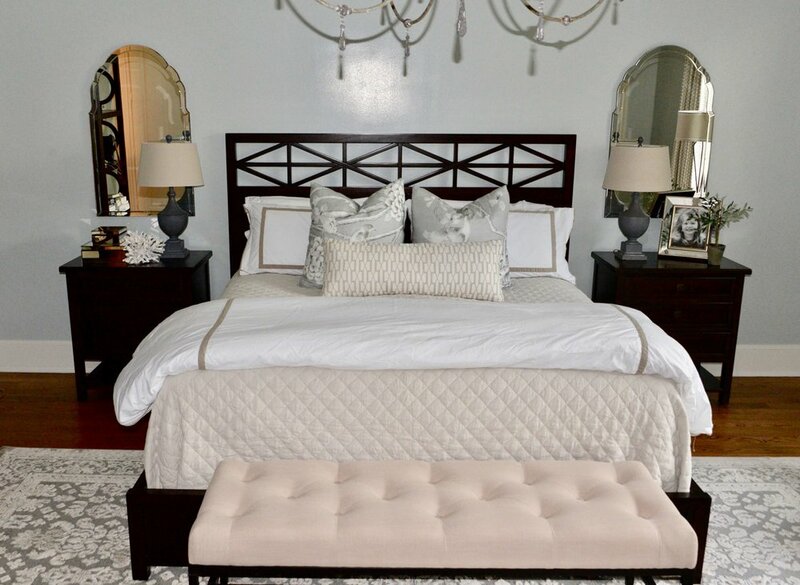 The clients did give me one interesting request - they very much liked their existing bed and nightstands, and wanted the rest of the room to work cohesively with those pieces. They loved elegant and sophisticated traditional elements, and calming shades of soft blue and white. As I worked on the spaceplan and design plan, I focused on selecting pieces that were elegant and sophisticated, but still had overall clean lines to help the space from becoming too busy. Textiles are always important for a master suite - here I chose traditional florals in soothing colors paired with soft geometrics to keep the mix interesting. 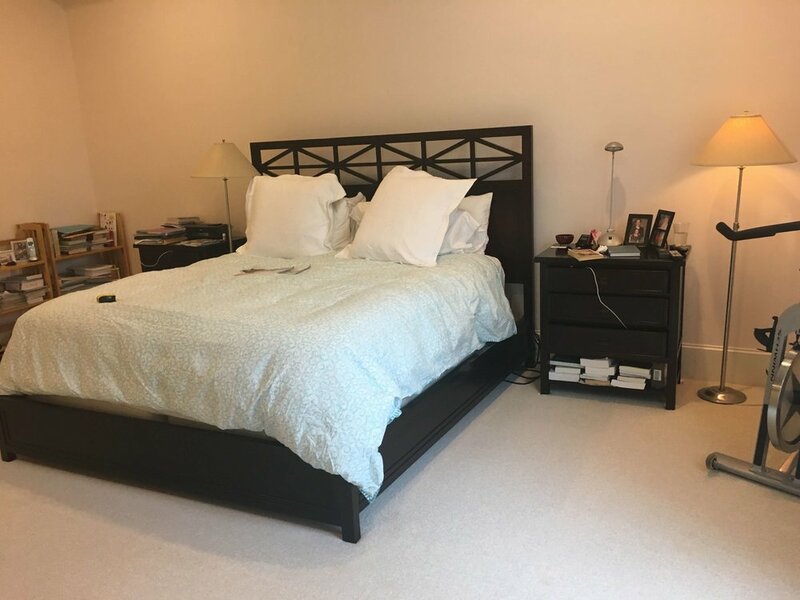 As you can see, even though several pieces of original furniture remained, the master bedroom is still completely transformed - it’s no longer a predictable bedroom, but now a soothing, traditional retreat. My clients were thrilled with how the space turned out, and vowed to never let their young children enter ever again. ;). 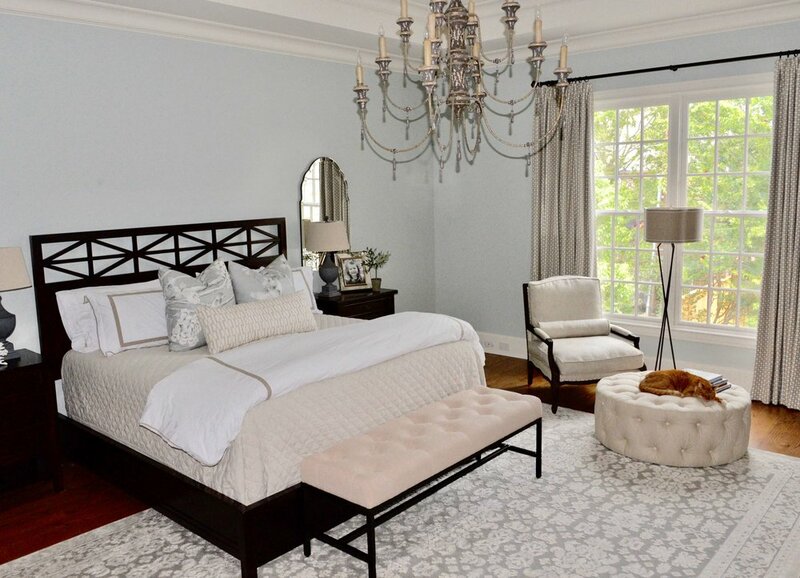 Does this swanky bedroom leave you longing for a relaxing room of your own this new year? 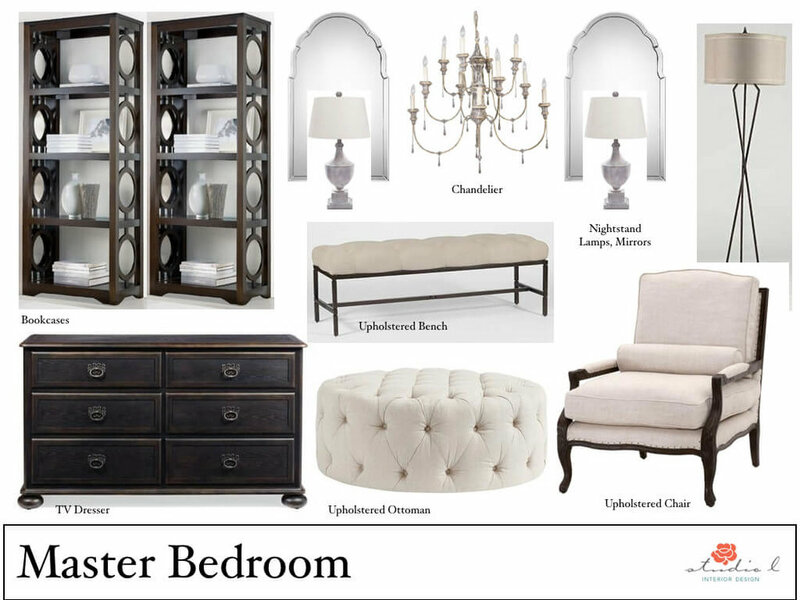 Check out my design services, and let’s talk about starting the design process for a master bedroom that is perfectly tailored to you!